This past winter a big fat doe was killed on the county road in front of our property; a couple of immature bald eagles soon appeared and we were worried about them perhaps getting struck by a car as they tried to feed on the narrow right-of-way. So we dragged the carcass into the field out behind our yard. Unfortunately, the result was that a couple of coyotes appeared in broad daylight and that was it for the eagles. “Bastards,” they said to us as they retreated to the cottonwoods along the creek. 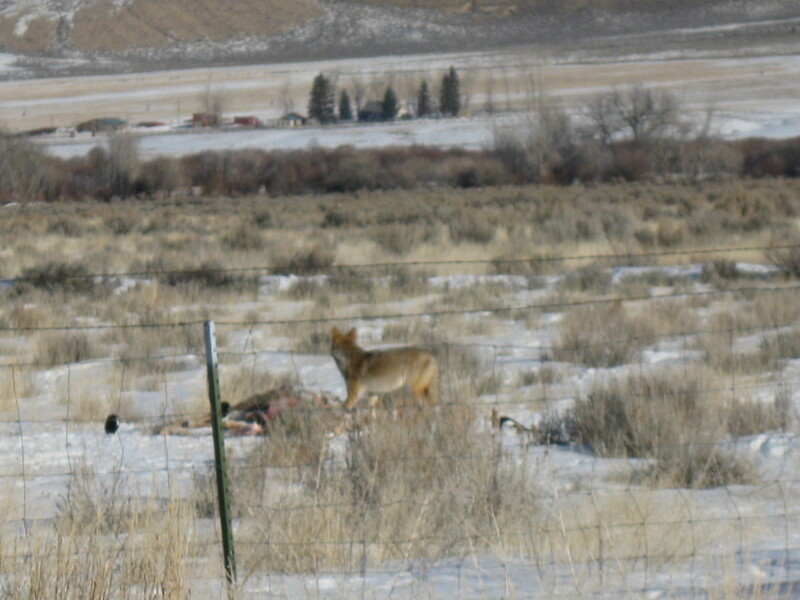 “Why couldn’t you leave well enough alone?” But the coyotes, one of whom had an injured or crippled foreleg, were happy. I walked right up on this fellow by moving when he had his head buried in the carcass. 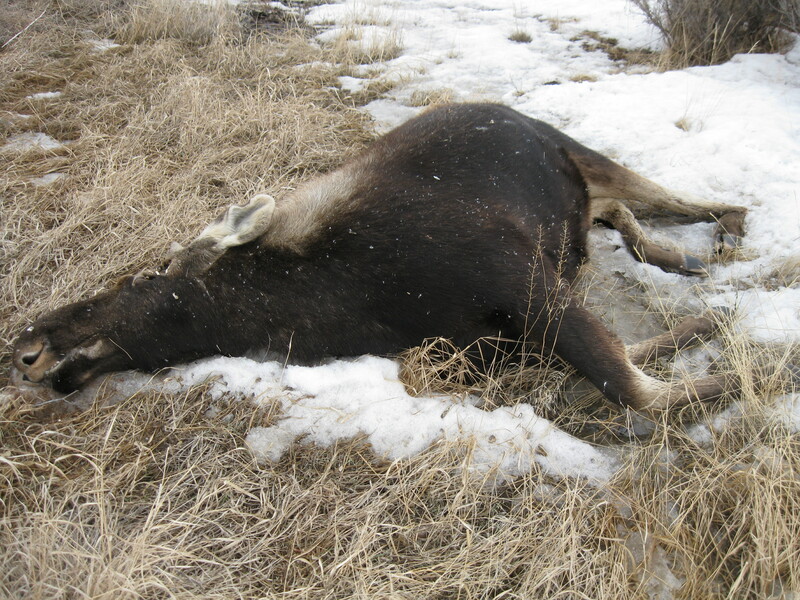 The moral of the story is that if we had a pack of wolves in the vicinity, this fellow wouldn’t still be alive to stand around and eat venison in the daylight with a bad foot.